Hollywoods pub makes it into this section primarily because of the way in which its demise played out. Once located beside Rabbitt's Pub on Foster Street, the premises has been demolished and an office block now stands in its place which betrays little of the dramatic story behind Hollywoods Pub. Firstly the name Hollywoods was not some themed pub but the surname of Owner Peter Hollywood. Originally from Newry in County Down, Mr Hollywood owned 2 pubs in New York in the 1960's & 70's. He sold up and purchased the Pub in Forster street along with his second wife Philomena in the mid 1970's. Tragedy struck in 1978 when he sustained a serious head injury which resulted in him being unable to look after himself. He died in 2001 in a nursing home. In 2004 when the Pub was put up for sale by Philomena , Peter Hollywood's children from his first marriage challenged her ownership of the property maintaining that he had never divorced his first wife, their mother - Mary and had committed bigamy. Although she claimed their had been a divorce, Philomena was unable to produce any evidence. The children maintained that it was always their mothers intention to pursue the claim for the pub but she had not done so due to Peter Hollywood's head injury and had intended to do so on his death. Unfortunately Mary had pre-deceased Mr Hollywood in 1996. 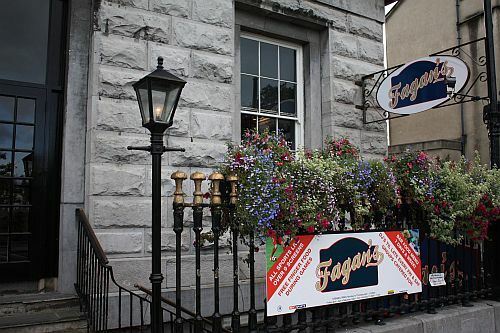 Meanwhile the Pub was valued at €3.5 million in 2004 and the sale proceeded with the assets being frozen until a decison was made. 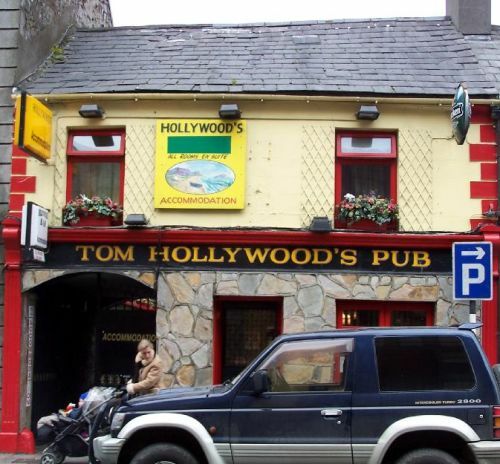 We are lucky to have some footage of Tommy Nolan and Sean Diviney playing in Hollywood's in happier times in the 1980's.Tommy Nolan was a well known musician in Galway and was resident fiddle player in O'Malleys pub on Prospect Hill in the 70's and 80's.